Published: May 21, 2013 at 08:59 a.m. Updated: May 21, 2013 at 02:36 p.m. The Seattle Seahawks spent much of Monday answering criticism of their off-the-field problems. Coach Pete Carroll and general manager John Schneider say they are taking the team's performance-enhancing drug use suspensions seriously. 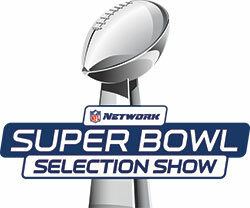 Watch NFL Network's live "Super Bowl Selection Show" at 2 p.m. ET on Tuesday to see which cities will host Super Bowls L and LI. Somewhat lost in the shuffle: The Seahawks' best offensive player from a year ago was missing. Marshawn Lynch was the only healthy, unaccounted player at Seahawks organized team activities. No reason was given for his absence. Carroll indicated the absence will take a while, expressing some hope Lynch could return by the team's final OTA week on June 6. NFL.com's Albert Breer reported Tuesday morning that Lynch has no problems with the Seahawks organization. "This is voluntary," Carroll said, via The Seattle Times. "That's the rules and the guidelines. He came in 10 days ago and he's in very good shape. He's working an intense program in his area, and he is benefiting from it. We'd love to see everybody here." The absence is a surprise because Lynch has attended Seahawks OTAs in the past. His absence will allow Robert Turbin to take first-team snaps, with newly signed second-round draft pick Christine Michael also in the mix. We wouldn't be concerned whatsoever with Lynch's OTA absence. His upcoming DUI trial on June 21 is a matter of more importance to the Seahawks, though according to the Tacoma News Tribune, Lynch also has a court date Wednesday for a motion to suppress evidence and a motion to dismiss the case.